Wireless technology makes them easy to connect via Bluetooth - no more tangles! One-button response to phone calls, Bluetooth pairing - compatible with a range of phones. What a great deal - no strings (or wires) attached! If you're someone who hates wires then you'll feel a real connection with this deal! 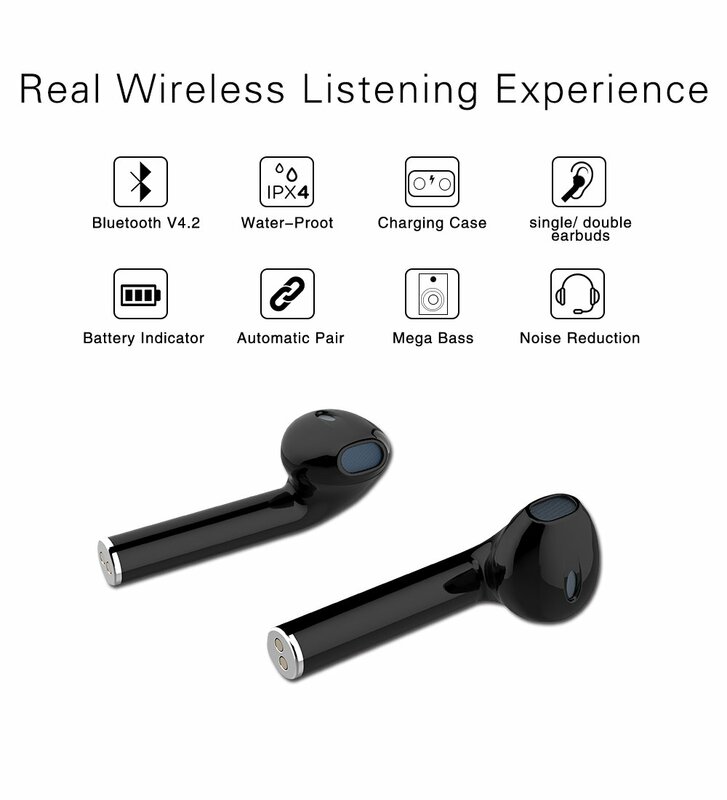 These handy earbuds fit comfortably in your ears and connect via Bluetooth so you don't need to worry about getting in a tangle. The sweatproof construction helps keep them working while you run, bike, hike and more, plus it has a one-button response to calls, Bluetooth pairing and turning on and off. Pretty sweet!